Backlim is a 100% male hybrid and highly suitable for production of white asparagus in a temperate climate. Backlim also performs well in green asparagus production. This variety is also extremely suitable for harvesting in the 2nd half of the season. Combined with the harvest of early varieties such as Avalim and Gijnlim, Backlim can result in a long, regular harvest season. Backlim has evolved into the standard variety in heated growing systems. Backlim gives reliable yields and quality, both in covered and open cultivation methods. Backlim is a variety that performs well on all types of well drained soils. Years of practical experience have shown that Backlim performs best with a planting density of 3.5 – 4.5 plants per linear metre. The recommended planting density for green asparagus production is 4 – 5 plants per linear metre. The recommended planting depth under normal conditions is 18 – 22 cm, planting any deeper means harvesting will start later. Backlim has also proven to give good production on soils previously used for asparagus growing, so is therefore the standard choice of variety for replantation in North West Europe. Backlim produces fine, straight stems. The quality increases as the plant ages. 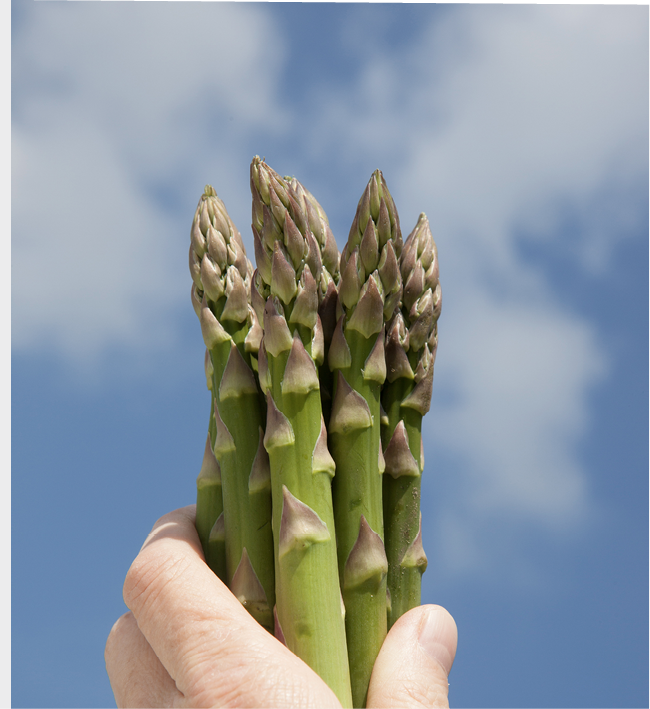 Backlim produces asparagus with a firm tip and high resistance to breaking, hollowness, pink discolouration and rust. More than 50% of the production is class 20 - 28 mm. Consumers rate Backlim as a variety with exceedingly good flavour properties. Backlim has compact foliage that is not susceptible to lodging. Despite the fact that the foliage dies off naturally early in the autumn, a good store of reserves is built up for the plant.